Strategy: REV Trader Pro trades reversals in baskets of up to three orders, with a report of almost 1:1 for won/lost pips per trade. Uses a trailing stop to exit. This is the REV Trader Pro vendor account. There are some things about this "real" account you should know. Their broker SynergyFX has been known in the past to partner with forex robot vendors to show manipulated results to increase sales and broker signups. We've received numerous reports of this forex robot not performing like this vendor account at all. This is a customer live account trading REV Trader Pro and as you can see it's performance for a very expensive robot is just horrible. Another live customer account of REV Trader Pro and this one is painful. You're paying $700 to lose money. 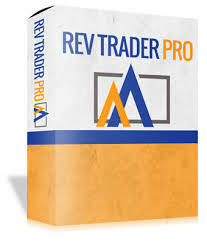 REV Trader Pro Reviewed byadmin on July 07 . We strongly encourage you to avoid Rev Trader Pro, and any other products associated with Doug Price. To sell a $700 EA based on fake results is just absurd. Doug Price is just a fake marketing persona with fake trading results.